There is now an increase in the number of professional coaches, authors, speakers and consultants who are making use of Instagram as a tool in promoting their personal brands, engaging their audience and building an email list of potential customers and getting results from it, that is, Instagram. But before you jump on and start using Instagram to promote your books or your coaching, speaking or consultancy Business, it is important to have an Instagram strategy that will truly get you results on Instagram and help you succeed as an author, coach or speaker. Below, I have outlined a number of steps that will help you succeed as an author, coach, speaker or consultant promoting their brand / business on Instagram. When choosing an Instagram username or handle, as it is often called, be sure to use the same one as you use on your other social media platforms so that people can easily find you. It is also a great idea to use your own name as people connect with people, in this case you. It’s extremely significant to set-up a unique and interesting bio and to make sure it reflects your personality and brand. In addition to this, be sure to have a good description of what you do and how you can help your target audience solve a problem or achieve a goal. Be sure to use keywords that your target audience will easily recognise and understand. Lastly and most importantly, I recommend that you put an online link to something of value such as a downloadable eBook, audio or videos which when your target audience click on from your Instagram account will take them to a site of your own. This is usually called a Landing page and is where visitors to this web page put in their email address in order to receive your free gift such as an eBook, audio or videos which is of value to them. After setting up your bio, have a little time to view it and ask yourself, is your bio inviting and convincing people to follow you? If the answer is yes, then proceed with the next steps. The link in your Bio is your only clickable link in Instagram so make use of it. As I mentioned under “setting up your Bio on Instagram”, be sure to put the link to the page holding your free offer in the space provided for a link in the Bio area of your Instagram account. The great thing about the link area on Instagram is that, you can choose to change this link as often as you like – what that means is that you could have a link to your Landing page this week, and then change it to a link to a particular article on your blog next week and so on. So make use of your link and rotate it as often as you like. An Instagram contest is a fun and easy way to gain a huge number of followers in a short span of time. You can host an Instagram contest by giving away a small prize or prizes (dependent on how many winners you plan to choose) as an incentive, for the number of “likes”, “reposts”, or even the number of people a specific Instagram user tags on one of your Instagram posts. One of your products or services is highly recommended as a prize but other ideas of prizes include, gift cards, vouchers and discounts cards. Make sure you share content that your target audience want and is of value to them. Share value that will help your target audience get closer to solving their problem – they followed you for a reason, so you will now have to show them that you can indeed help. For example, if you are a healthy eating coach, share pictures of healthy meals and recipes, if you are a life coach, share pictures or steps that will help your target audience achieve their aims, goals and aspirations. In addition, Inspirational quotes are quite popular on Social media now because of their positivity. Share something that will encourage your target audience. Always make sure that all your posts either Inspire, Educate, Entertain or do all! It is also a great idea to create custom hashtags that are unique to your business / brand that others will identify with you / business specifically, for example, the unique hashtag for my Instagram Business Growth Online Course is #InstaBizGowth. You can engage with your followers by asking questions when you post on Instagram. You can also put a call-to-action, such “tag a friend this post will help” or double tap if you like this post”. You can also ask for feedback on what posts your followers love best and what they would like to see more of on your Instagram account. Share stories of others you have helped in your coaching or consultancy business, people who have been impacted by your books and talks. This will let your followers know that you are indeed you are helping others solve problems and reach their goals and aspirations – which allows them believe that you can do the same for them. Also, sharing stories of success is a great way to remind people to celebrate every accomplishment made. It’s not just about your success stories but also the success of other people to help increase the confidence of your current and future clients. If they see these success stories, they are inspired to work hard and will strive to have the same success too someday. In conclusion, Instagram is a fantastic social media platform to use in helping you reach your goals as an author, coach, speaker and / consultant. It has excellent tools in getting the attention of the people you are trying to connect with and also allows you to connect and engage with your target audience. It is also an excellent tool for building your email list! 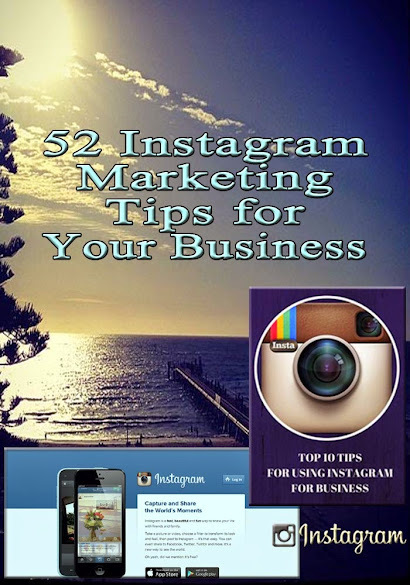 Do you have questions on How to Grow Your Business with Instagram? Book a FREE Session with Me using the Contact Page or Email me directly at Tobi@TobiAwoyemi.com with your question and I will be more than happy to help you!